Healthy Habits for Leaders | Go, Leader, Grow! Today I was at Haverhill Elementary School leading another session in leadership. 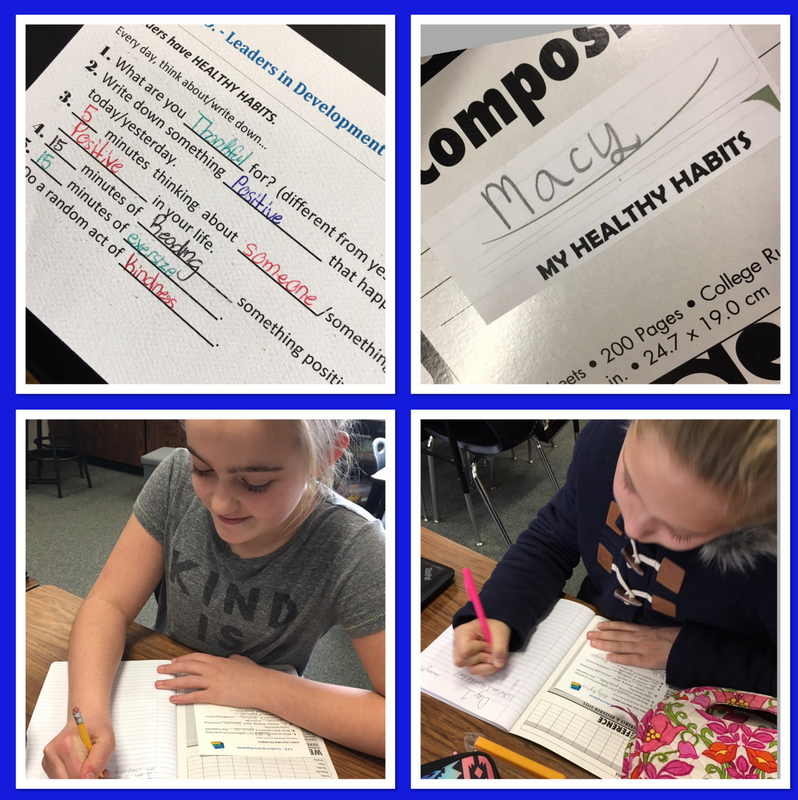 Today we talked about developing healthy habits. You can see from the pictures the kids were getting into this. We talked about journaling, exercising, being grateful, doing a random act of kindness, and reading a good book among other things. We’ve encouraged the kids to bring their journals back in a month to see how they’ve been doing. By doing habits such as these, we will become healthier leaders and ultimately happier leaders. What kind of habits are you developing your life that’s making a positive difference for you? Comment below.